The European Parliament, unlike Westminster, owns its own Agenda and has a democratic structure that relates to the numbers of MEPs in the various different political groups. Each group is given committee places and responsibilities according to its size. 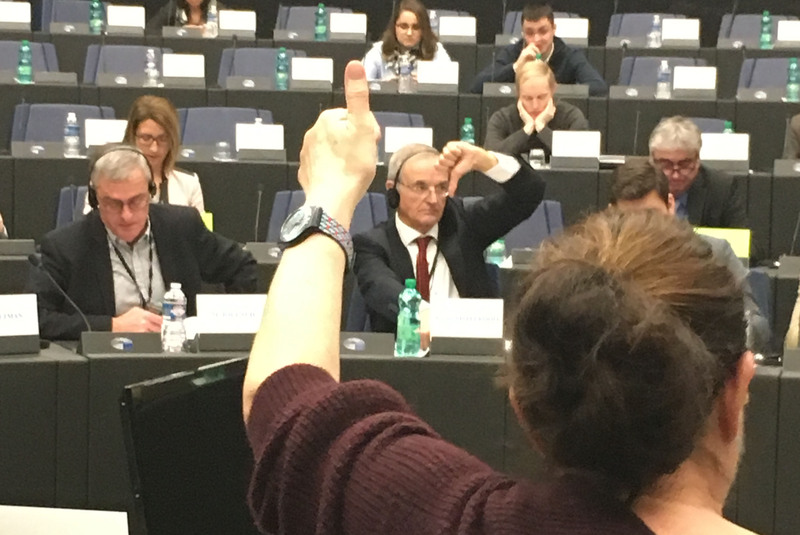 Accordingly each MEP, assuming they wish to, can serve on Parliament's committees and delegations. The notion of 'backbench' members does not exist in the same way as it does at Westminster. The committee is responsible for the Parliament side of the Budgetary Legislative Procedure. This process sets the European Union Budget each year within the context of a seven year agreement between the Member States known as the Multi-annual Financial Framework (MFF). The committee helps develop the Parliament's view of the MFF and conducts the mid-term review. Reports are brought to the Budgets Committee on all elements of EU expenditure and the legislative process that has budgetary implications including long term investment policy and the European banking system. Budgets Committee is one of the few Parliament bodies that takes an overview of all the activities of the Union. John is a voting member of the committee. Regional development has been a central activity of the European Union since the UK joined the EEC in 1973. The establishment of the cohesion funds and European Social Fund saw the EU developing investment policy aimed at accelerating the economic development of the poorer regions. Improving the cohesion of the Union has been an important priority ever since and took on new significance after the fall of the Berlin Wall and the accession of the former Warsaw Pact states. The Regional Development Committee overseas Cohesion Policy and the accompanying legislation required to implement the Union's programmes. John is a substitute member of the committee with full participating rights. The states that comprise CARIFORUM have a trade and economic partnership agreement (EPA) with the European Union. The CARIFORUM JPC debates the progress of the EPA and makes recommendations on future developments as well as overseeing the development of friendly relations between the region and the EU. John is a voting member of the JPC. The Former Yugoslav Republic of Macedonia aspires to join the European Union at some point in the future. A barrier to progress toward accession has been the dispute with neighbouring Greece over the name of the country. The Prespes Agreement of June 2018 set out a path toward the resolution of the dispute and the approval of the changes to the constitution of FRY Macedonia that followed open the door to NATO and EU membership. John has participated fully in the work of the delegation as a substitute member.